Are you looking for a crossover SUV that's ready to fit just about any need you might have for it? 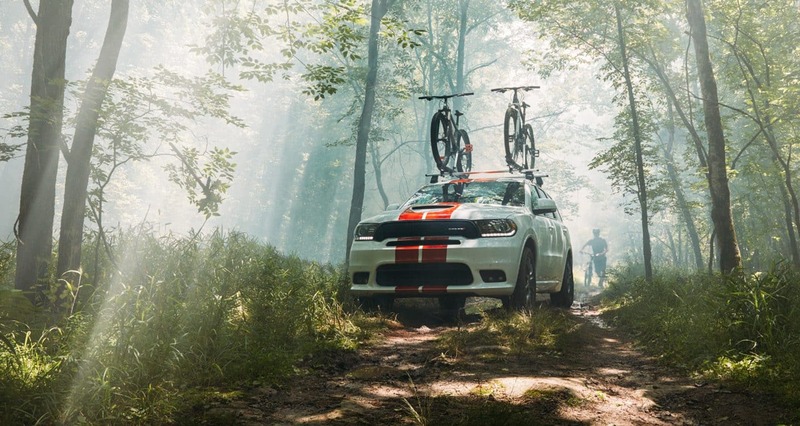 Then the 2019 Dodge Durango is the vehicle you've been looking for. With top of the line technology, best in class towing, and utility that's unsurpassed thanks to features such as its ability to switch between fifty different seating combinations, all come together to stand above others in the crossover SUV segment. 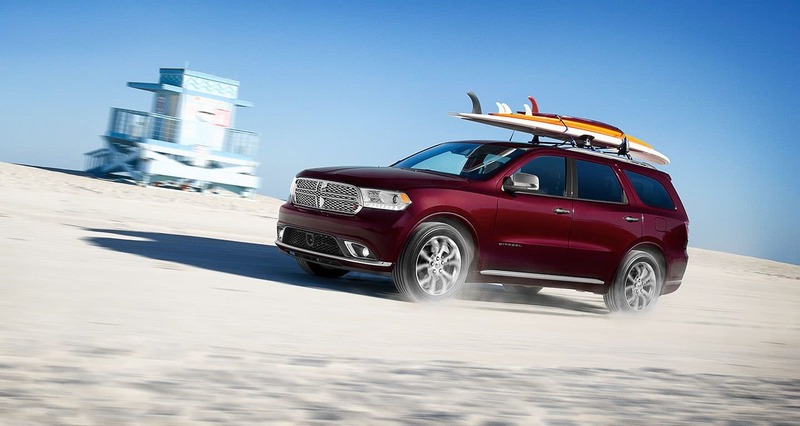 For 2019, the Durango gains new features in the form of an integrated trailer brake as part of the Trailer Tow Package; an optional 19-speaker Haman Kardon audio system for the Citadel trim; an optional performance fascia hood for the GT; 20-inch wheels for the SRT, GT, and R/T trims; new Reactor blue, Destroyer Gray, and F8 Green exterior paint options; and second-row captain chairs for the SRT, R/T, and Citadel trims. What powertrains are available for the Durango? 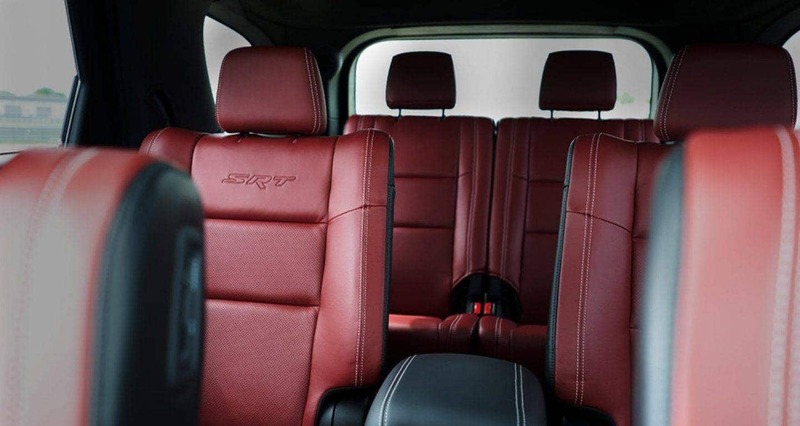 The 2019 Dodge Durango comes with a variety of impressive and powerful engines depending on your choice of trim, each ensuring your Durango drives just the way you dreamed it would. A 3.6-liter Pentastar V6 engine comes standard for the Citadel, SXT, and GT trims. Combined with a TorqueFlight eight-speed automatic transmission, these trims put out 295 horsepower, 260 pound-feet of torque, and can tow up to 6,200 pounds. The R/T trim runs on 360 horsepower and 390 pound-feet of torque thanks to it 5.7-liter HEMI V8 that's paired to a TorqueFlight transmission, allowing it to tow up to 7,400 pounds. Lastly, the SRT trim's HEMI V8 makes it the most powerful and fastest three-row SUV in America, putting out 475 horsepower and 470 pound-feet of torque while increasing its towing capability to 8,700 pounds. What trims are available for the Durango? 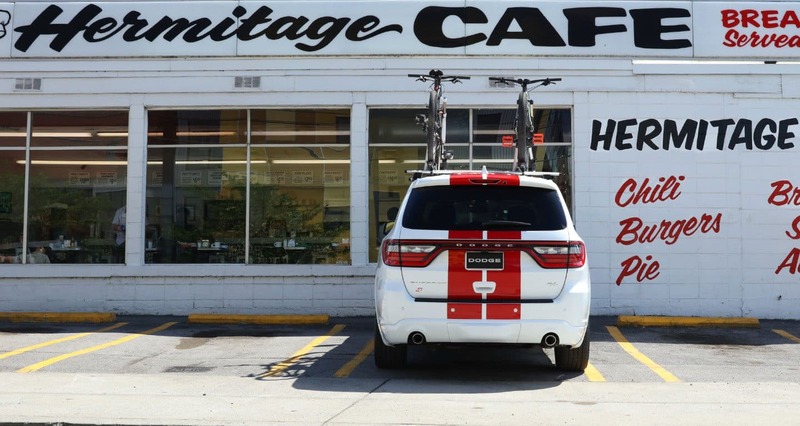 The 2019 Dodge Durango can be exactly the crossover you imagine thanks to its five trim levels, each offering a host of features to best fit your needs. 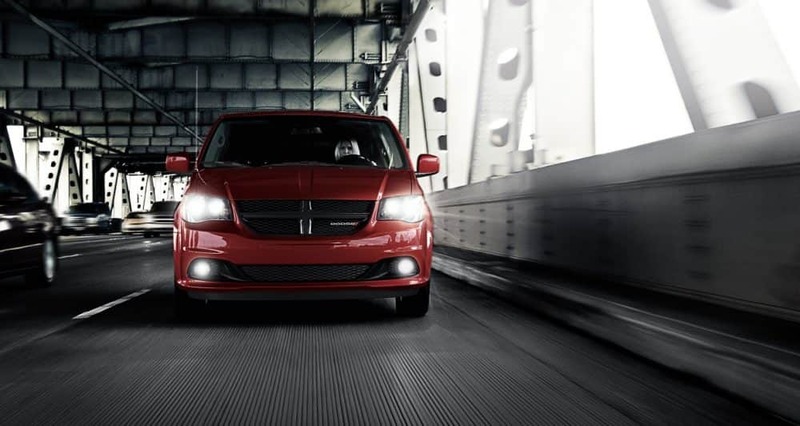 The initial SXT trim comes with such standard features as Laguna accents, flat-bottomed performance steering wheel with paddle shifters, second-row heated captain's chairs, velour floor mats, high-performance Brembo brakes, an active damping system, and a performance-tuned AWD system. The next trim up, the R/T, gains performance steering, performance front fascia, high-intensity discharge headlamps, seating for seven, automatic high beams, Uconnect-enabled 8.4-inch touchscreen, and performance suspension. 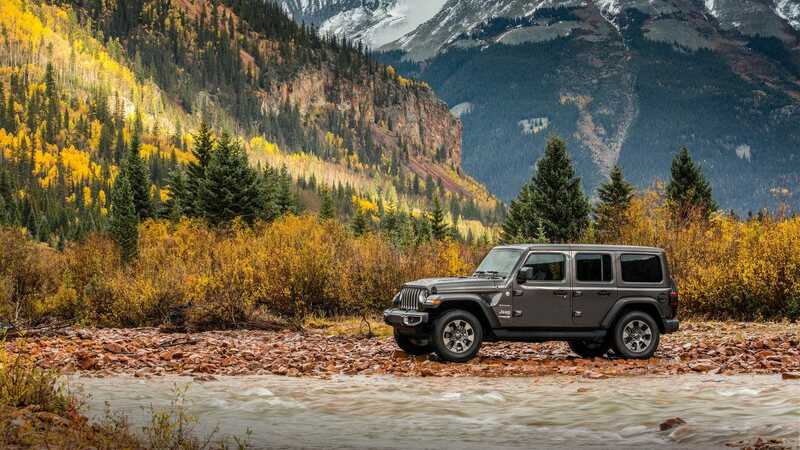 The middle trim, the Citadel, comes with HID headlamps, a rain-sensing windshield, 20-inch aluminum wheels, 9-speaker audio system with subwoofer, and automatic high beams. Next, at the GT level, the Durango comes with LED daytime running lamps, Capri seating, and dual exhausts. 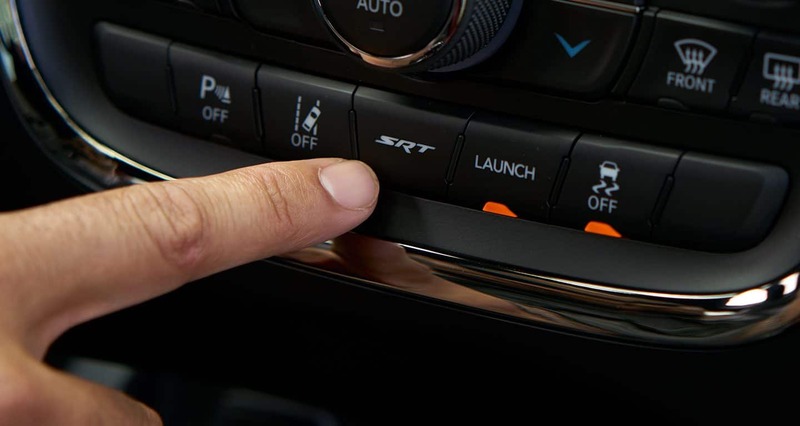 As the Durango's top trim, the SRT takes the features of the other trims and adds an infotainment center that can be personalized and comes with smartphone integration, Uconnect, and Bluetooth; integrated voice commands; push-button start; keyless entry; and a leather-wrapped steering wheel. 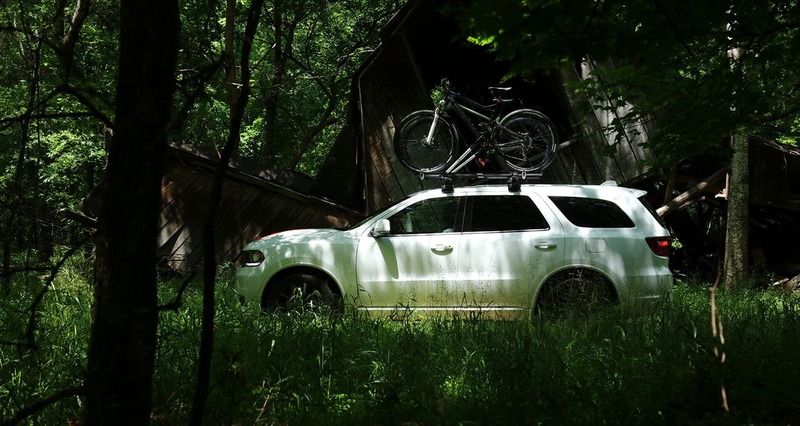 What safety features are available for the Durango? 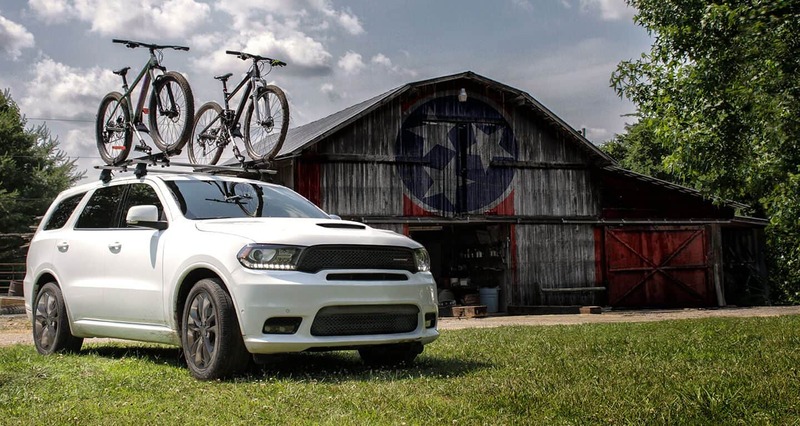 Power and comfort may be what the 2019 Dodge Durango emphasizes, but there's certainly more to it than just that. 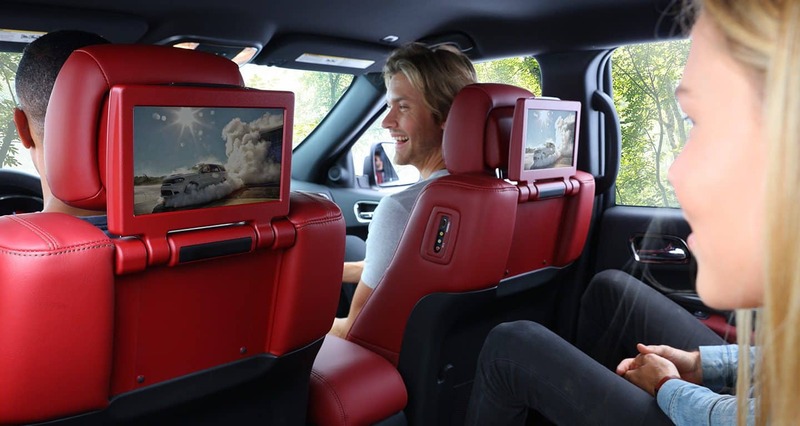 The Durango comes with a great many standard and optional safety features that make sure that every time you get behind the wheel you're safety is paramount, because safety is just as important as speed or comfort. A sampling of the Durango's standard safety features include stability control, seat belt pretensioners, an advanced airbag system, anti-lock brakes, an ignition-disable security device, and anti-whiplash head restraints. 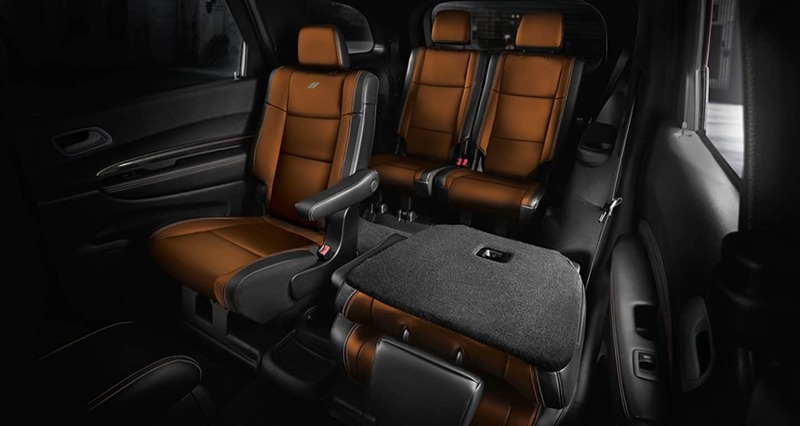 With an impressive array of safety features, a vast set of features, and powerful engines to top things off, the 2019 Dodge Durango most definitely sits at the top of the pack when it comes to crossover SUV's, boasting capabilities and power that can get you where you need to go in both comfort and style. If that sounds like the kind of crossover you'd want to be behind the wheel of, then don't hesitate to contact us today and learn more about this top of the line vehicle.